Spend the 4th (Sat) exploring the fascinating underwater world at Sea World Theme Park. There's lots more to do: get in on the family fun at Warner Bros. Movie World, make a splash at Dreamworld, and enjoy the sand and surf at Surfers Paradise Beach. 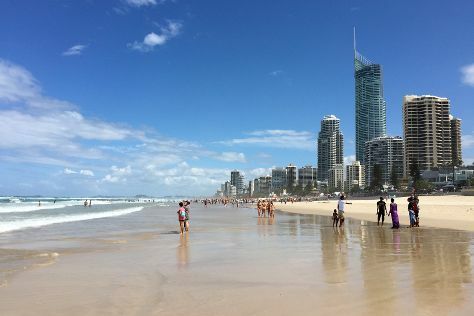 To see ratings, photos, traveler tips, and more tourist information, use the Gold Coast online trip planner . If you are flying in from India, the closest major airports are Brisbane International Airport and Gold Coast Airport. In May, plan for daily highs up to 27°C, and evening lows to 15°C. Finish your sightseeing early on the 6th (Mon) to allow enough time to travel back home.